The Dressage Gala featuring Anita Williams Dressage, local musicians, caterers, sommeliers, and myself, was one of the many items auctioned at the annual Gala benefiting the Bravo! Vail Music Festival. Bravo! Vail enriches people’s life through the power of music by producing performances, fostering music education and by promoting a lifelong appreciation for the arts. So on September 15th, 2018, music lovers, equine professionals and local vendors gathered in the beautiful setting of Anita Williams Dressage, a charming dressage facility nestled into the mountains of Eagle, Colorado. Anita Williams is a Gold, Silver, and Bronze Medalist with the United States Dressage Federation and has been competing at National and International levels of dressage for over 30 years, winning many National USDF Horse of the Year Awards, and Regional Championships from 1st level through the FEI levels. Together with her mount Stortebecker, she performed Grand Prix level dressage movements while violinists accompanied their dance. After the demonstration and a surprise performance by two Norwegian Fjord horses, everyone enjoyed a five star dinner in the luxurious equestrian lounge above the stables. Enjoy this small selection of impressions of this neat event. This summer I had the opportunity to work with McKinley Harvey, of The Perfect Fit Saddlery, to produce a series of promotional images for her saddle fitting business. We shot in the beautiful setting of Faith Farms in Castle Rock during a group session day with three additional ladies. McKinley founded The Perfect Fit Saddlery in 2017, when she saw a growing demand for high quality products and fitting services in Colorado. It was then, when the 24-year old Colorado native took out two loans, and a leap of faith, and hasn’t looked back since then. 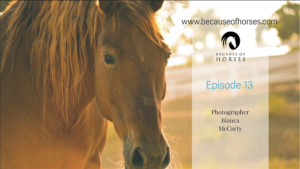 McKinley’s dressage background, riding since she was eight and competing all her life, coupled with her entrepreneurial education, allowed her to enter the field and start a successful business. When working with McKinley and her fun quirky but professional personality, there is no doubt that horses are the most important part of her life. At The Perfect Fit Saddlery, McKinley represents Equipe, handmade saddles from Italy that respect the rider’s comfort and the anatomy of the horse. She describes them as the best in the market for horse and riders. In addition The Perfect Fit offers boot fitting and custom boot services of DeNiroBootCo, a company that has been known for quality, attention to details, innovation and style since 1981. Of course there is a special someone who makes her eyes light up. Part of her shoot was also her soulmate Q, a 6-year old Hanoverian, who she has a deep relationship with and whom she is developing at the moment. Q was imported from Germany after a referral from a friend and McKinley found her soul horse without even meeting him prior. She explains that just like with developing horses, it’s important to be devoted and to not cut corners, if you want to work in the equine industry and be successful. Her advice to any young entrepreneurs is to find a mentor who can take you under their wing to give you insight of what it takes. One of the amazing benefits of her job is that she got to visit the factory in Italy, where Equipe and DeNiro products are handcrafted. Check out her experience on her Facebook page. For every print you purchase $100 will go towards her fund. The remaining $50 are not a profit to me, and are strictly covering the production and shipping cost. Message or email (info@biancamccartyphotography.com) me your name, address, and your choice of image. Receive your artwork, knowing that you made a huge difference in someone’s life and that the Good will come back to you. Stephanie and her family were visiting her childhood home on the Island of Bermuda to take a trip down memory lane. They were traveling on scooters when on March 22nd, Stephanie and her son were struck by a car. (I am getting goosebumps while writing this.) While her son Conner got away with minor injuries, Stephanie was rushed to the hospital with a destroyed knee and fractured joint bones, and the doctors suggested for her to get an immediate medivac off the island. By air ambulance she was taken to Grand Junction and was admitted directly to St Mary’s hospital where she had to undergo X-rays, CT scans, and MRI’s. Stephanie and her family are facing astronomical medical expenses including but not limited to an emergency air ambulance flight. In addition, Stephanie will be in physical therapy for many months and unable to work. The good news is, that the doctors are confident they can rebuild her knee, once the swelling is less severe so they can safely operate. After her operation she is looking at an absolute minimum of 6 months recovery to get back on her feet, but a full recovery is questionable at this time. This past weekend I was lucky enough to spent my time in Ocala, Florida, for the 27th Live Oak International, where I was on assignment for US Equestrian to capture the Combined Driving Championships. In addition to the action packed driving competition, Live Oak Plantation also hosted the $100,000 LONGINES FEI World Cup™ Jumping Qualifier Grand Prix. This tournament is one of the largest Combined Driving and Show Jumping events in the country and attracts some of the leading drivers, riders, trainers, coaches and owners from Europe and North America in both disciplines. On February 14th, I drove from Colorado to California, 900 miles, 14 hours, to experience the final FEI-level competition weekend, of the six week long circuit hosted by the Adequan West Coast Dressage Festival in Del Mar. While I had a chance to watch world class dressage riders and their students compete in this gorgeous location, I thoroughly geeked out on photographing one jaw dropping pirouette after another. While I was on assignment to meet Dawn White-O’Connor, one of Steffen Peters talented assistants who recently earned the reins to his Olympic mount Legolas, I learned that Dawn grew up in Colorado of all places. The 29-year old moved to San Diego 11 years ago, where she started working as a groom in Steffen Peter’s barn. How the torch was passed on to her might be another story in the future. She kindly invited me to meet the stars up close, Rosie, Mopsi and Legolas. They were all right there. And for me, someone who has never been this close to Olympic athletes and horses, I enjoyed seeing how they live an ordinary life once you step behind the scenes. Horses still get to be horses after all. There is goals we set ourselves, things we can imagine we might do someday or challenges that we must conquer. Now while I have interviewed myself plenty of times throughout my childhood, I would have never imagined it actually becoming reality one day. After I received Elise’s invitation to be a guest on her podcast, it took me an entire week to respond to her, because I was trying to figure out, who would possibly be interested in what I have to say. I realize now that it doesn’t matter…it only matters that I share my experience and my skills with the world, even if it only inspires one person out there. It is after all what I live and breath everyday, a profession that keeps me sane in this fast-paced world, so why would I keep something that is so important to me, from everyone else. So please enjoy! Listen here. Many of you may know that one of my biggest aspirations is to become an equine journalist and to leave a footprint in the equine publishing industry one day. After finally graduating from business school last month, I am ready to take on whatever comes my way. So when the editor of Horse & Rider Magazine asks you to cover the 2018 National Western Stock Show in Denver, you say YES, YES and YES. It’s only January and I already received my first assignment. While the entire event is two weeks long ranging from reining, rodeo, show jumping, breeding cups, art shows and so much more, it is almost impossible to see everything. With a total of 684,580 visitors during the two week event, it is one of the major attractions our state has to offer every year in January. One of the highlights is the kick-off parade in downtown Denver, where over 40 longhorns, drill teams, mounted police, cowboys and equine enthusiasts promenade from Union Station along 17th street, while spectators celebrate the beginning of the 111th National Western Stock Show. Streets lined with cowboy boots, big and small, it’s a sight you won’t want to miss. If you plan on attending next year, arrive early (at least 30 min), otherwise you’ll end up in 2nd, 3rd, or 4th row. The belief that National Western is only for rodeo fans is widely mistaken, because their black tie event, known as An Evening of Dancing Horses has much more in store than Old MacDonald Had A Farm. Here national talents bring together a one of a kind exhibition full of reining, dressage and liberty, while accompanied by live orchestra music of the Denver School of Arts. In the spotlight this year was Big Horse Productions, whose creator and Colorado native, Erik Martonovich, was honored with leading the opening event in patriotic attire, flag-waving, doing what he does best – standing astride two majestic Belgian Draft horses, which carried him around the arena. 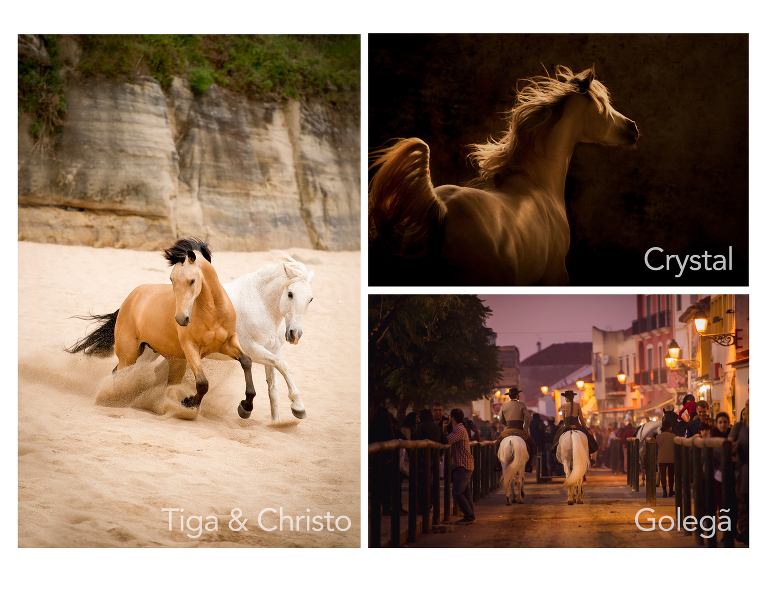 You have probably heard about Young Living essential oils, but have you heard about the Young Living Friesians? That is right, Gary and Mary Young love them so much that they have 20 of these incredible black beauties, along with Andalusians, Percherons, and even a Camel, on their Young Living family farm in Mona, Utah. Before the exhibition, I had the chance of meeting three of their magnificent black stallions along with incredibly sweet and welcoming caretaker Kaitlin ( I hope this is how you spell your name). Not only did these majestic creatures look like equine gods, they also smelled like one; bathed in lavender oil and satiny black manes nearly touching the ground. Among many others, all time favorites and locals Sharee & Steve Schwartzenberger, performed a marvelous reining act inspired by The Sound of Music. If your images are not displayed contact me. I will upload them upon request. I had a blast watching and photographing all of you amazing athletes!